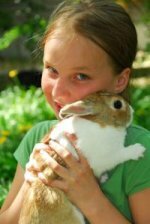 We recommend all cats, dog and rabbits are vaccinated, to keep them healthy. After the primary course, just one booster injection per year is required to maintain immunity in dogs, cats and rabbits. We will send you a reminder when your pet is due their booster vaccination, to help you keep your pet protected. Our booster vaccinations are carried-out only by fully-qualified experienced Veterinary Surgeons. At every booster vaccination, they will perform a free full health examination of your pet, and will be happy to discuss any queries or concerns you may have. There is an additional vaccine available against kennel cough for dogs. This is recommended not just for dogs going into kennels, but for all dogs, as the disease can be caught anywhere your pet may meet other dogs eg. kennels, training classes, shows, the park. This highly contagious upper respiratory disease can be prevented with an annual intranasal vaccination. Rabies vaccination is required if you wish to take your pet abroad - for more information on the Pet Travel Scheme and taking your pet abroad please click here.